Black Ant, Middle Hackle, 1/64 oz. 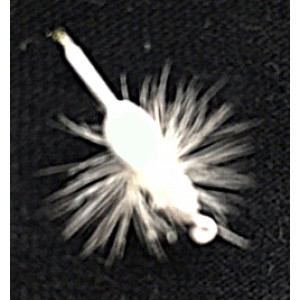 Small enough not to spook wary fish in low water but tantalizing enough to draw strikes. 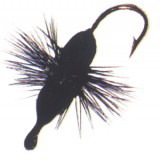 Black Ant w/Red Eye, Middle Hackle, 1/64 oz. Small enough not to spook wary fish in low water but tantalizing enough to draw strikes. 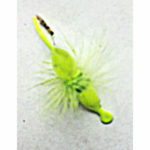 Chartreuse Ant, Middle Hackle, 1/64 oz. Small enough not to spook wary fish in low water but tantalizing enough to draw strikes. 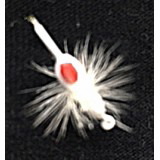 White Ant, w/Red Eye, Middle Hackle, 1/64 oz. Small enough not to spook wary fish in low water but tantalizing enough to draw strikes.